The Moscow Mule is my favorite. It’s one of those cocktails that is so refreshing. You can drink it all night without feeling bloated and it tastes delicious! When I first started going out to bars when I was 21 I always ordered the same thing: cranberry vodka. I grew really bored of it, really fast. I’m a vodka girl by nature (Dad, are we like part russian or something?) I was out at a bar one night and a friend told me to try it. I remember I had to hand over my debit card and couldn’t retrieve it until I gave the empty copper mug back (they’re so pricy!) 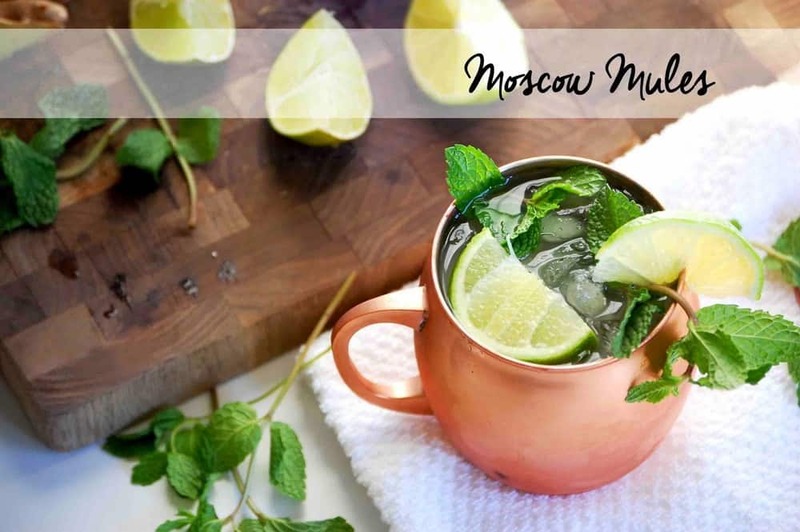 But I suppose the copper mug makes it a traditional moscow mule. It just doesn’t taste the same served in a glass. 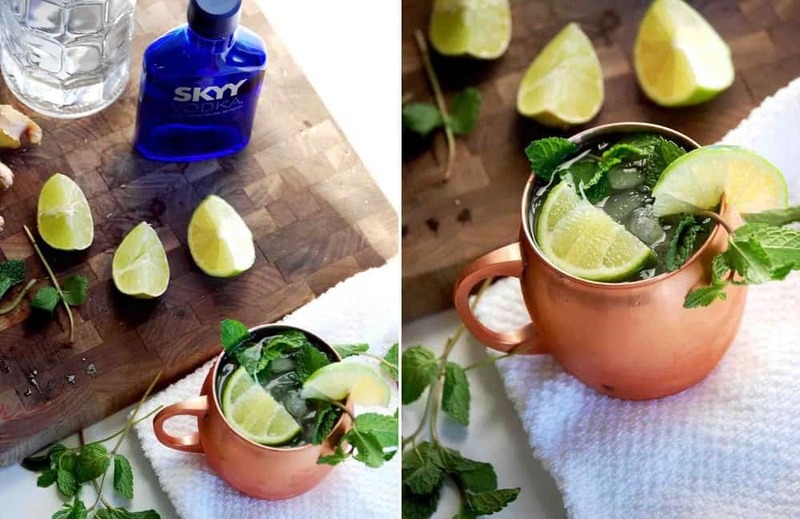 Fill a copper mug with crushed ice. Pour in ginger beer, vodka, mint and squeezed lime juice. Stir gently. Garnish with a lime wedge + mint sprig. note: you can sub ginger beer with ginger ale, ginger beer is accessible at most liquor stores. Goslings Ginger Beer is my favorite.